When it was sold to Sonny’s in the spring of 2015, the previous owner described its fascinating past. The owner’s grandmother had purchased the piano at Sotheby’s London Auction House in the 1920's from the estate of a prince. The piano remained in England until 1960 when it was shipped to her daughter in New York City as a wedding gift. 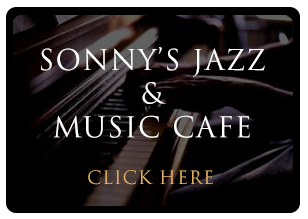 In 1995, the daughter gave the piano to her son and he kept it in his home in Connecticut until it was sold to Sonny’s Pianos. A European art history consultant and member of the Appraiser’s Association of America was hired to evaluate the piano artwork. Her research revealed that La Tour de Peilz was a holiday resort frequented by Prussian royalty. The La Tour de Peilz historical society confirmed that the king and queen of Prussia had a very large estate in that area around the same time. The Nestle Corporation now owns the estate. Sonny's team also discovered that two Prussian Princes were known to be affiliated with Tour-de Peliz during that time period.. One retiring and living out his life there with his wife after the fall of the royal house of Hohenzollern after WW1. The price? Sonny says "since this is a one in a million masterpiece we feel that one million dollars is a fair price. 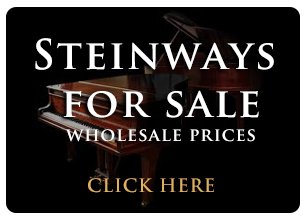 Also other rare Steinways have sold in that price range and there are others that are out there now that cost even more." And he says he is donating 10% of the final sale price to the Juvenile Diabetes Research Fund, Long Island Chapter to help find the cure for Type 1 Diabetes. Luxury Art Case Steinway piano retailer ups the ante to help find cure for diabetes. BOHEMIA, NY, Jan. 30, 2017 – Sonny Stancarone, CEO of Sonny's Luxury Art Case Pianos, a premiere Long Island restoration house for pre-owned art case Steinways and other brand name pianos, is pledging to donate $100,000, or 10 percent of the final price of a million-dollar art case Steinway he has offered for sale, to the Juvenile Diabetes Research Foundation Long Island Chapter to help in its quest to find a cure for juvenile diabetes. “I hope by doing this it will bring attention to the importance of finding a cure for this devastating illness, and the money we raise will help families cope with this condition and improve the quality of their lives,“ said Stancarone, a longtime piano entrepreneur and piano dealer. “Millions of people around the world live with type 1 diabetes, a life-threatening autoimmune disease that strikes both children and adults. There is no way to prevent it, and at present, no cure. JDRF works every day to change this by amassing grassroots support, deep scientific knowledge and strong industry and academic partnerships to fund research. "Sonny’s contribution will go a long way to supporting our efforts,” said Joann Flick, director of development at JDRF Long Island Chapter. The million-dollar Steinway, known as the “Prince’s Love Piano,” was purchased by a Prussian prince in 1900 from the Steinway Hamburg, Germany, factory. The prince commissioned a master artist to create a series of King Louis XV “Vernis Martin” style love scenes on the piano to immortalize his love for his princess. The piano itself is an art case Hamburg Steinway Model A – one of the finest instruments money could buy then and now.The piano is part of Sonny’s luxury art case pianos collection and was purchased and restored by Sonny's Art Case Pianos over the past year. See photos and video tour of this piano here http://tinyurl.com/zvkpgct. 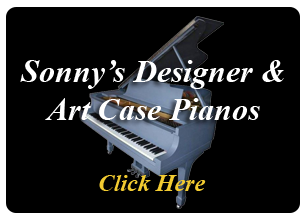 About Sonny’sPianos Sonny’s Luxury Art Case Pianos, located in Bohemia, Long Island in New York, is one of the premiere restoration houses for pre-owned decorative art case Steinways and other brand name pianos. 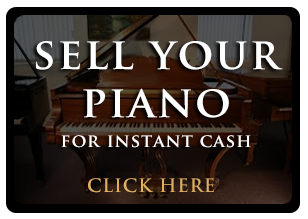 Sonny buys and restores luxury and traditional-style pre-owned Steinways and other pianos, selling them to discriminating clients in a worldwide market. Sonny’s team of furniture specialists, piano technicians and artists return the sound and appearance of these majestic instruments to their original elegant and beautiful condition. Sonny is donating 10% of the final sale price of the Million Dollar Steinway and another hand painted masterpiece in his collection called the “Green Chi Steinway,“ priced at $125,000, to the Juvenile Diabetes Research Foundation (JDRF) Long Island Chapter, that funds research for treatments and therapies for Type 1 Diabetes. 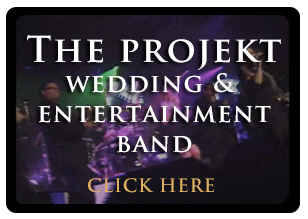 To learn more, visit Sonny’s Bohemia, Long Island showroom or view videos and photos of his inventory online. 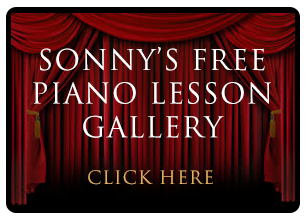 Private showings of Sonny’s Luxury Art Case Pianos are available by appointment only, by calling 631-475-8046. JDRF is the leading global charitable, non-profit organization funding type 1 diabetes (T1D) research. Its mission is to accelerate life-changing breakthroughs to cure, prevent and treat T1D and its complications. To accomplish this, JDRF has invested nearly $2 billion in research funding since its inception. It is an organization built on a grassroots model of people connecting in their local communities, collaborating regionally for efficiency and broader fundraising impact, and uniting on a national stage to pool resources, passion, and energy. It collaborates with academic institutions, policymakers, and corporate and industry partners to develop and deliver a pipeline of innovative therapies to people living with T1D. Its staff and volunteers throughout the United States and its six international affiliates are dedicated to advocacy, community engagement and its vision of a world without T1D. For more information, please visit jdrf.org or follow it on Twitter: @JDRF. Sonny Stancarone, owner of Sonny's Pianos in Bohemia, sits at an art­case Steinway he calls his million­dollar "A Prince's Love Piano." (Credit: Chuck Fadely) It was a “car wreck,” Sonny Stancarone says, as he circles the most prized Steinway piano in his 5,000 ­square­foot Bohemia showroom, his fingers tracing the hand­painted flowers that adorn the rosewood case. The 116­year­old instrument, decorated in the rococo style, came from Connecticut, where Stancarone rescued the antique, then unplayable and encrusted with grime. Purchased in the 1920s at a Sotheby’s auction in England, it had been passed down from one family member to another until it fell victim to neglect. Stancarone, 65, dubs it “A Prince’s Love Piano,” which his team of restorers spent a year refurbishing. With no documentation of its original ownership, Stancarone, who lives in Patchogue, says he believes the piano was commissioned by a Prussian royal. His hypothesis is based on an analysis by Manhattan appraiser Kate Carmel of records from the piano maker, tracing it back to a Swiss village that she says “was a favorite swanky holiday spot for European royalty, especially Germans.” Stancarone romanticizes that there is a good chance it was given as a gift to a woman the prince loved — and maybe that speculation will help sell it. 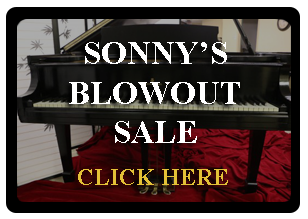 Of the dozens of pre­owned pianos housed at Sonny’s Pianos on Locust Avenue in an industrial park near Long Island MacArthur Airport, this one carries a headline ­grabbing asking price — $1 million. Stancarone says the instrument is “like a Stradivarius in piano land.” The price, he explains, is based on the market, where other art­case pianos have either sold or are being offered for that amount. “The thing about this piano is . . . the tonal quality is sublime, almost surreal,” he says. Art­case pianos are considered precious art objects as much as musical instruments. New or old, they are characterized by paintings, carvings and other decoration, all done by hand. Miles Chapin, a great­ great grandson of the founder of Steinway & Sons and the author of the 1997 book “88 Keys: The Making of a Steinway Piano,” says they are usually one­ of­ a ­kind pieces embellished at the factory or after being manufactured or a combination of both. “They come into favor in times when economics are good,” says Chapin, 62, an actor and real estate agent based in Manhattan. “It’s a reach what he’s asking for that piano,” he says of Stancarone’s $1 million price tag, but, “it’s worth what someone is willing to pay for it.” There are 20 such art­case pianos in addition to the others for sale at Stancarone’s showroom, and he says he has sold more than 200 others during the past eight years, including a 1927 Steinway to the royal family of Abu Dhabi for an undisclosed price. When he first saw the Prince’s Piano, it “spoke” to him, he says. “Every piano has a personality of its own,” he says. His fascination with the instrument came early in life. Stancarone’s father, Frank, now 91, played piano in his own band, sometimes performing with his wife, who was a jazz singer. Stancarone says his earliest memories are of lying in his crib falling asleep as he listened to his father practice Mozart sonatas on a German upright piano in the family’s home in Woodside, Queens. Frank had just started taking lessons when his son was born. Stancarone says he scored high on a musical aptitude test in the third grade at the Washington Street Elementary School in Franklin Square. But shortly after, the family moved to the Garden City South area where he was given a clarinet in school. “I brought it home, but I really wanted to learn piano,” Stancarone says. “Dad said I was too young. I insisted, but to no avail. So I went to my mother.” His mom, Gloria Stancarone Bernstein, 88, says she “had a good strong talking” with Frank, her now­ex­husband, who relented. 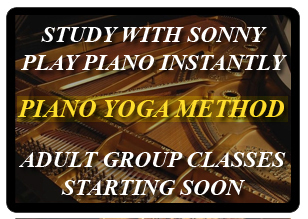 Although Sonny Stancarone has played piano professionally and once tried to make it in songwriting, he has also been a holistic health and wellness teacher and exercise physiologist. At one point, he developed a teaching method called “Piano Yoga” that aims to put piano players at ease with relaxation and breathing techniques. Switching careers to sell vintage pianos “was one of those midlife changes,” says Stancarone, who started the business from his home in 1994. Then, he worked only with an expert to help tune and regulate the pianos. “I found the pianos, cleaned them, worked on the furniture and did minor repairs,” says Stancarone, who studied with a piano technician to learn how. Now, he directs a staff of artisans, led by 26­year­old warehouse supervisor Vladimir Ratikan of Mastic. “I just don’t do the actual work anymore,” Stancarone says, although he’ll roll up his sleeves if needed, even to buff the metal pedals. Rebuilding, restoring or reconditioning a piano can take anywhere from 100 to 500 hours, Stancarone says. Cleaning and restoring artwork created by artists long ago “requires very special careful expertise,” says Stancarone, who hires experts to remove dirt to expose the original painting. “You can’t just spray on some Fantastic,” he says. It took nine months to clean and restore the paintings on one piano, now selling for $125,000, he says. 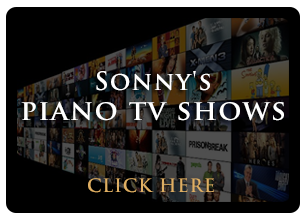 Stancarone talks about his passion for restoring the piano shells in “Sonny’s Piano TV Show,” a public ­access program that also can be viewed on his website, sonnyspianotv.com It’s a project that makes his mother proud. His mom, who lives in Port Jefferson Station, says, “It’s quite a feat he’s taken on, and he’s been doing wonders with it.” The pianos most often find homes with people who have seen them only online. Mississippi homemaker Donna McDonald, 55, recently purchased a carved Knabe baby grand with handpainted gold trim, with an automated player system installed, for more than $15,000, shipping included. “I had been searching for a beautiful piano for several years — I’ve wanted one since I was a little girl. It was on my bucket list,” McDonald says. McDonald lives 10 minutes from Graceland, Elvis Presley’s gated estate just over the border in Tennessee. She says she chose the Knabe because Presley also had one.